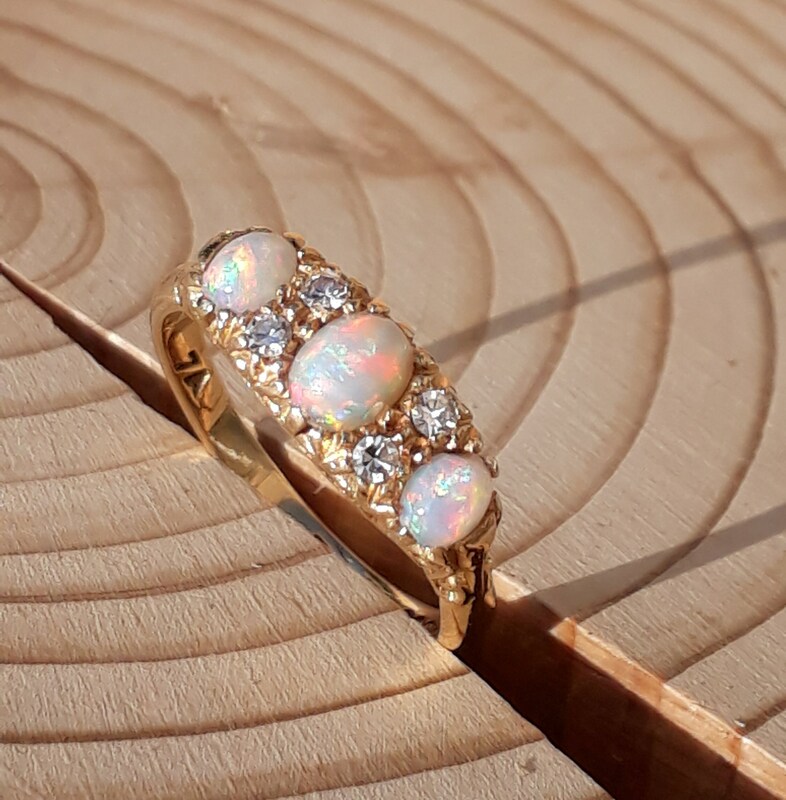 The Opal and Diamonds Are Set in An 18ct Yellow Gold Claw Setting With Ornate Graduated Shoulders Into The Band. 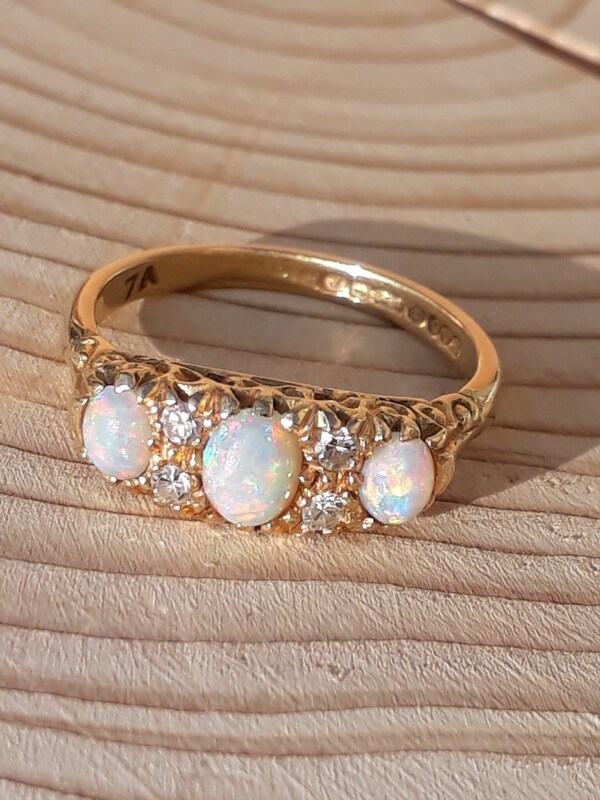 The Center Opal Measures Approximately 5.5 mm x 4 mm and The Opals Either End 4 mm x 3.5 mm. 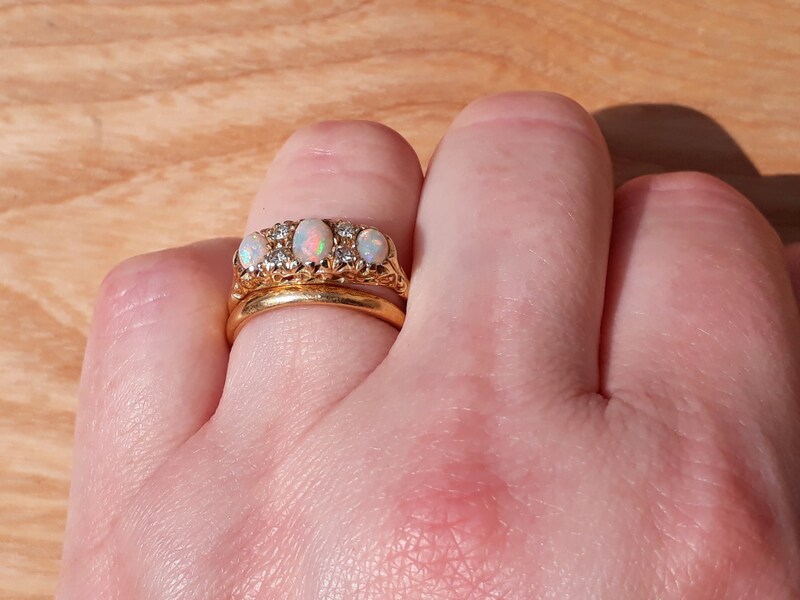 There's Some Lovely Reds, Greens and Blues From Each Opal Making For a Firey Ring ! 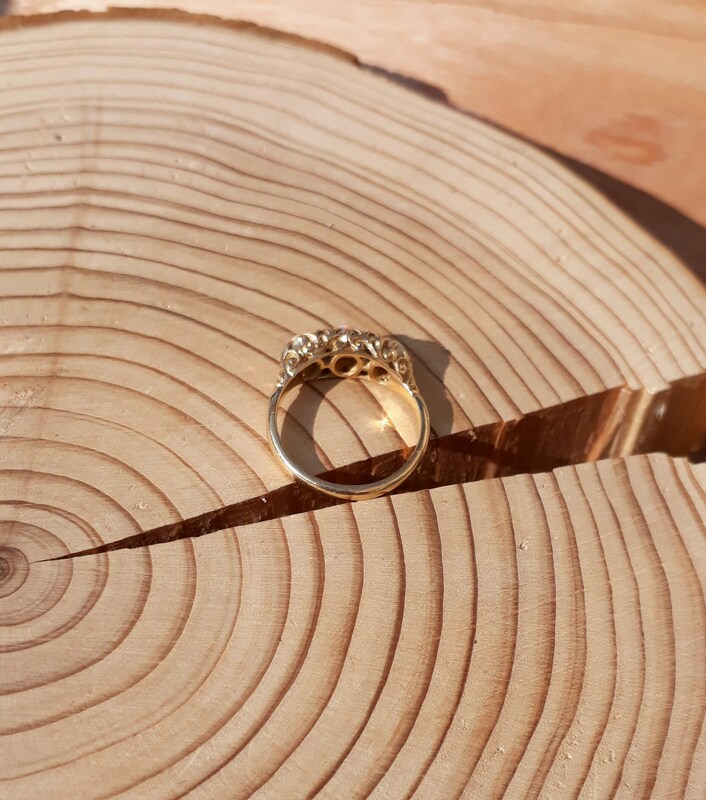 The Stetting Measures 16 mm Across The Finger, 7 mm Deep And a Height of 5.5 mm Off The Finger. 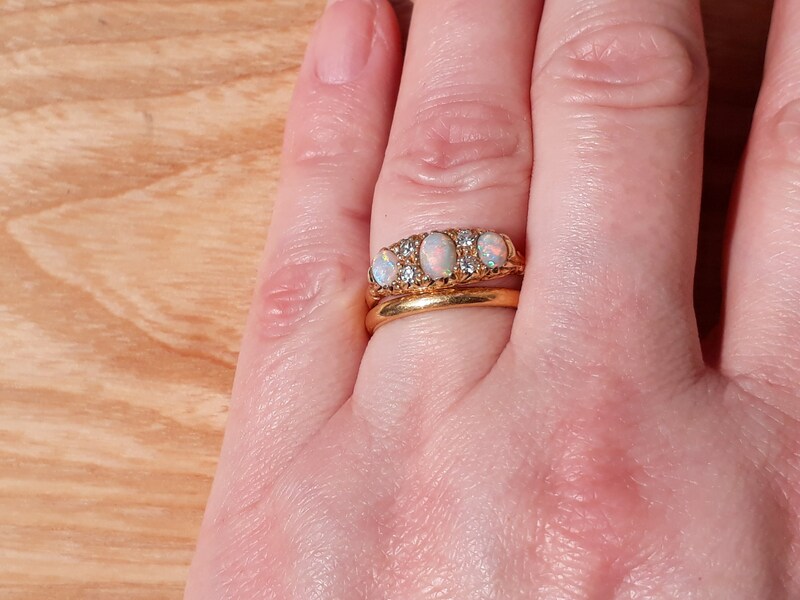 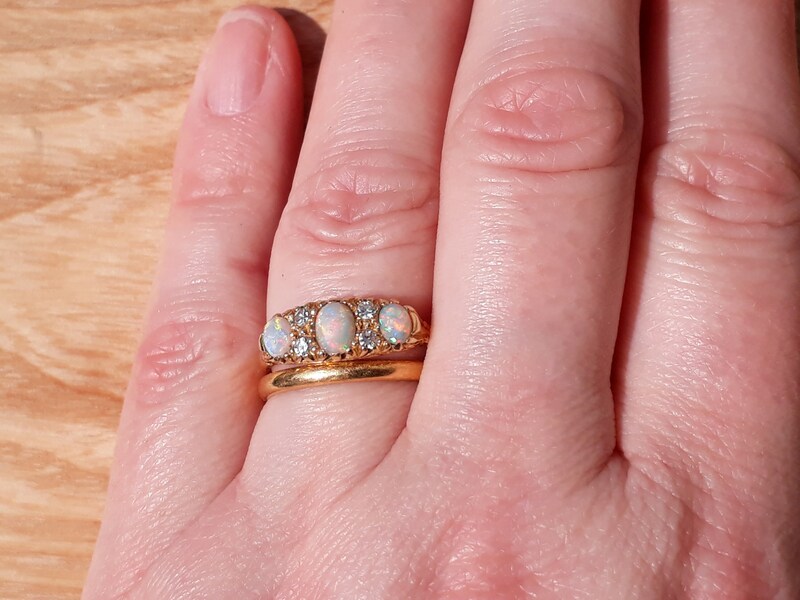 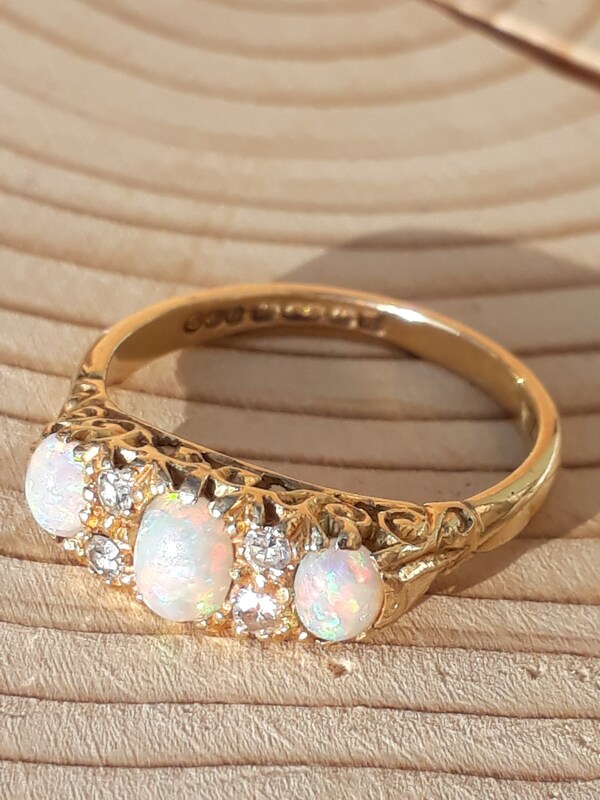 This Opal and Diamond Ring Would Make an Outstanding Gift.